We have used Bluehost for years! Sign up at a discount now! Disclaimer: Planet Marketing is a Bluehost affiliate. We may get a small fee should you sign up using our links. 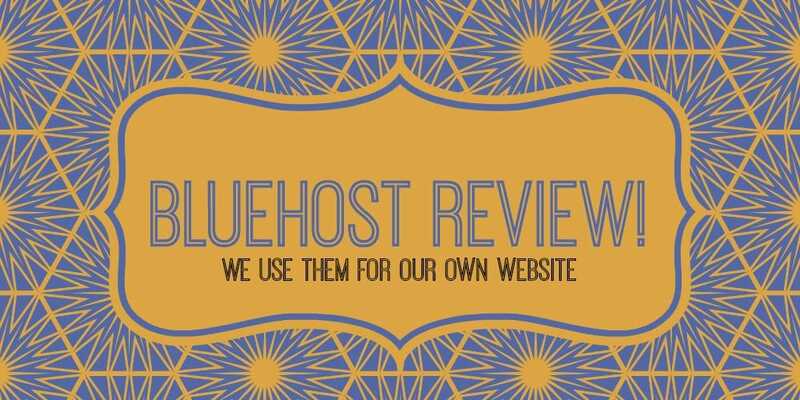 However, we have been using Bluehost since 2004 and we have no problem recommending them since we use them. Those that need to setup small eCommerce websites. Those that are looking to set up static websites. Who is Bluehost not for? You are a large business looking for dedicated servers. Honestly speaking, if that is the case, you are better off getting hosted by a top level company such as AWS or Kinsta. Your business is looking to up its game by having its site hosted by a top level web host. You need to have complete control over your hosting environment. Your site gets tons of traffic every day. What’s on offer at Bluehost? Bluehost offers a number of products that will make your web hosting experience memorable. As someone who has used the company for years, I can safely say that Blueshost is exciting. The trick, however, is on making sure that you fall into the correct market for the company. We have, on this blog, previously talked about the three tiers of web hosting. At the top, there are companies such as Kinsta and AWS. Bluehost falls somewhere in the middle level. You can read more about this issue in this article. So, what does Bluehost have to offer? 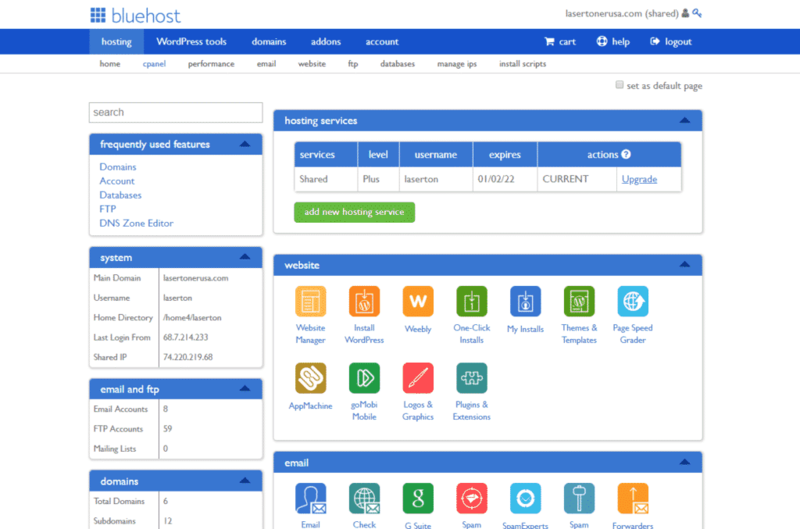 Bluehost offers you an enhanced cPanel that is designed to simplify the process of managing your website. The first thing that you do when you sign up with Bluehost is install your CMS. For most people, WordPress is the best. 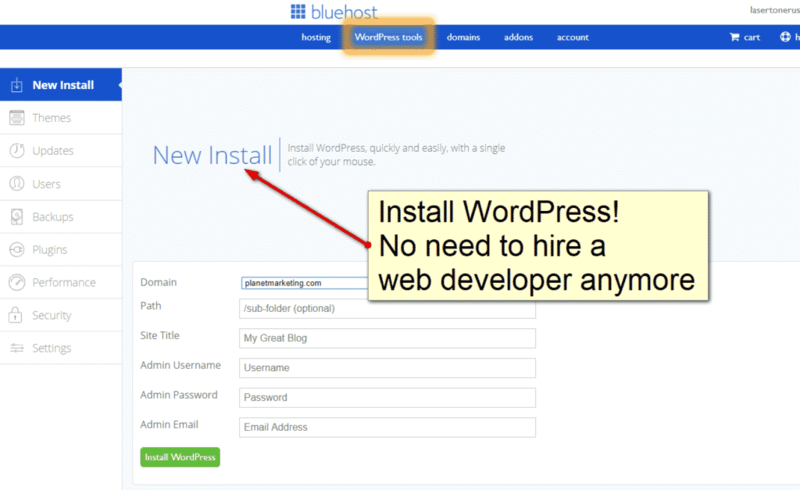 Installing WordPress in Bluehost is a breeze and you should be done in no time. Backing up your site in Bluehost. Bluehost allows you to quickly and easily backup your site. This is important, considering that you do not want to lose data should your site be hacked. For those that wish to divedeep into their sites, you can do so using either the Bluehost file manager, accessed via cPanel, or your favorite FTP program like Filezilla. If you need to have access to your database, you can do so using phpMyAdmin. What are the Bluehost pros? Bluehost’s pricing is great. At present, the cheapest Bluehost plan starts at $3.95, as you can see in the above screenshot. This is probably not the cheapest that you will be able to find out there. My advice to you, however, is that price should be the least of your considerations when choosing a web hosts. Usually, you end up paying one way or the other should you be stingy at the outset! Bluehost’s performance is good enough for its segment of the market. What are the Bluehost cons? Support is not that great. If you need to have a live chat, you sometimes have to wait up to 45 minutes! I guess it all has to do with the fact that Bluehost is such a big company. Performance is good enough but not as great as it could be. If you are looking for a CDN, you actually need to pay for one. Other web hosts out there will provide a CDN free of charge. You don’t get a staging site when working on your website. Having a staging site allows you to work on your website without having to worry about affecting the live content on the site. Bluehost is a company that we recommend to our readers. We have been using them for a long time, and they have so far turned out to be great. The only thing to remember is that you should make sure that the type of web host that you are choosing is the ideal one for your needs. If you are a big business whose site has lots of traffic, then Bluehost is probably not for you. You will be better off signing up with a company like Kinsta or AWS. If, on the other hand, you are a small company whose site is not that complicated, then Bluehost will work wonders for you. Even if you run a small eCommerce site, Bluehost is a great option. Are you still in doubt about the best host for your business? Then don’t hesitate to get in touch with us and we will point you in the right direction as far as choosing a web host is concerned. If you are sure that Bluehost is for you, feel free to sign up using our link below. Disclaimer: We are a Bluehost affiliate and may get a small reward should you choose to sign up with the company using our link. I have recommended Bluehost to clients and even to friends. No company will be at 100% all the time. I have only had one problem with BH. It’s when I had to implement SSL (https) security. The problem was taken care of through their live chat. In 4 years of using them, I have had 2 problems. I won’t leave Bluehost. The thing that matters to me is page load speed and reliability. I have been using Bluehost for more than 4 years now and I would recommend Bluehost for your hosting service provider, if you are looking for low price, reliability, easy navigation with cPanel, built-in installing WordPress feature, plug-ins functionality etc. Even though they do not have the best customer support in the industry, they do provide 24/7 support which is very important as far as your technical issues being resolved. If you intend to use a WordPress blog then you will definitely love their 1-click install feature. I agree, their customer service isn’t always the best. On Monday mornings live chat is terrible. I have to wait 1/2 hour to 45 minutes just to get a hold of an agent. Blue Host basic plan offers customers with great features. What their basic plan contains is enough to make one feel happy and satisfied, especially their unlimited bandwidth. However, if anyone wants to have additional features, they can simply request their plan to be upgraded. Agree with this post — excellent features! What I like about bluehost, besides affordability, is the company’s reliability. All in all, I would say this is a great host….